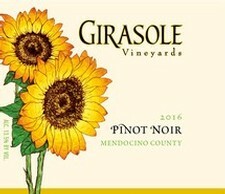 We welcome to you visit us at the BARRA of Mendocino Winery, where we pour both Girasole Vineyards wines as well as our BARRA of Mendocino wines. We are located just 2 hours north of San Francisco just off Highway 101. We are open daily from 10:00 am - 5:00 pm (check our website for special holiday closures). If you would like to arrange a private tour, please select your preferred date and number of people in your party using the form below. We will contact you to confirm your tour! If you'd like to receive our quarterly newsletter, let us know. If you'd like to be notified when our vintages change or varietals are added, let us know. For information regarding hosting your own events at the BARRA of Mendocino winery, please visit our event center page. For further information about our wines, or for more details on reserving the BARRA of Mendocino Winery for your own private event, please feel free to contact us.